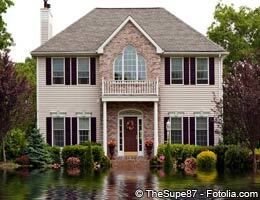 If your home is damaged in a flood, are you covered? 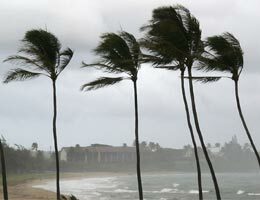 That depends on the value of your home, the level of water damage and whether you have flood insurance. 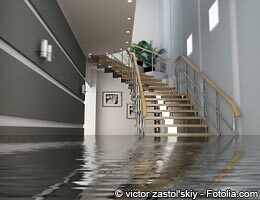 Regular homeowners insurance policies don’t cover flood water damage. And policies through the National Flood Insurance Program top out at $350,000 for your home and goods. 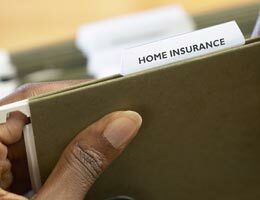 So you may need supplemental coverage if your home and possessions total more than that. But, while people tend to associate floods with a total loss, the average flood claim for U.S. homeowners is about $30,000, according to the National Flood Insurance Program. Here are six myths that persist about flood insurance — and the truth you need to know. Not true. If you live in a flood plain, your mortgage company will likely require you to buy flood insurance. But you can purchase it even if you don’t live within a flood zone. “Almost anybody can get flood insurance who wants flood insurance,” says Chris Hackett, director of personal lines for the Property Casualty Insurers Association of America. It’s cheaper if you don’t live inside a flood plain. The price of insurance through the federal flood insurance program is based on standardized rates and depends on the home’s value and whether or not it’s in a flood plain, says Don Griffin, vice president of personal lines for the Property Casualty Insurers Association of America. The average price for flood insurance is about $600 annually, Hackett says. If you rent your home or live in a condo, you can buy flood insurance for just your possessions, says Griffin. If you want flood insurance, it pays to think ahead. There is a 30-day waiting period between when you buy the coverage and when it kicks in, he says. Merle Scheiber’s dream home wasn’t in a flood plain, and he didn’t have flood insurance. 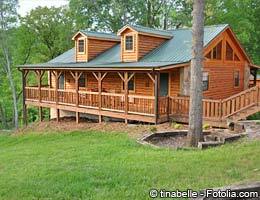 Just after completing a three-year renovation project for his 1,800-square-foot cabin-style home, flooding put it underwater for almost four months. Now he’s working on an entirely different kind of renovation project. “I’m in the process of tearing it apart myself and putting it back together,” says Scheiber, who is also the director of insurance for South Dakota. He advocates that homeowners — even those who do not live in designated flood plains — weigh the dangers and their options and seriously consider buying flood insurance. “You need to assess your risk,” Scheiber says. Griffin says 1 in 4 flood claims is for a home that isn’t in a flood plain. Not necessarily. When it comes to the physical structure of your house, federal flood insurance policies top out at $250,000, Hackett says. If you have a $300,000 house that’s a total loss because of a flood, the most you can recoup through the program is $250,000 to cover the structure itself. For your personal possessions, the cap is $100,000 under the federal program. And those limits are “definitely something you should keep in mind before purchasing a high-value home in an area that’s susceptible to flooding,” Hackett says. If you already have insurance through the federal program, then you can buy “excess flood insurance” through a private carrier that would cover claims above the national limits, Griffin says. In essence, it’s a flood policy with a $250,000 deductible, he says. While federal flood insurance pays to rebuild the structure, it only pays current value on possessions, Griffin says. 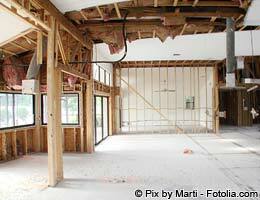 It doesn’t cover anything in a basement (other than your heating and air-conditioning system). It doesn’t cover living expenses if you have to relocate while your home is being repaired, he says. “Unfortunately, a lot of folks may be under the impression that their standard homeowners policy might cover flood damage,” Hackett says. But the standard policy doesn’t. Your umbrella policies won’t cover flood damage either. The standard homeowners policy doesn’t cover earthquakes or floods. So a homeowner wanting coverage for either of those disasters will need to pick up separate, specific policies against those types of disasters. When it comes to your insurance, not all water damage is the same. And most consumers “have a pretty good understanding” of how to draw the line between storm damage and flood damage, says Hackett. Some homeowners policies offer an optional “water-backup endorsement” that covers damage from water backing up into your home from causes such as a broken sump pump, he says. Flood plains (and flood plain maps) change and evolve. Just because you weren’t in a flood plain when you bought your home a few years ago doesn’t mean you’re not in one now. There are a few ways you can find out about your flood risks and if you may be in a flood plain. 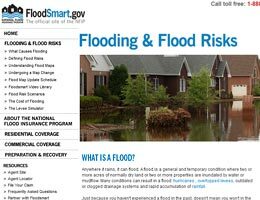 FloodSmart.gov: This site will allow you to put in your address and see if it’s in a flood plain, and give you information on risks, premiums and agents, says Griffin. But use it as one tool, not the final word on whether your home is in a flood plain. Your agent. When it comes to researching whether your home is in a flood plain, you definitely want someone knowledgeable to research the question for you, Griffin says. And, preferably, more than one agent. And get a second opinion from a different agent, he says. Did you know in Idaho you are required to either: A)Buy workers’ compensation for a subcontractor or B) Prove that they have workers’ compensation insurance? We have had many contractors become confused on this. If you don’t do it correctly, it could cost you a lot of money! Give us a call today to find out more about how to be correctly gathering proof or reporting uninsured subcontractors on your workers’ compensation audits. It’s better to have insurance and not need it, than need it and not have it. Odds are 1 in 5 that you will experience a fire in your home or place of work. Insurance can protect your business from lawsuit, property damage, slander, or theft of intellectual property. Most employers are legally required to maintain workers’ compensation insurance in the state of Idaho. Idaho is the 4th most affordable state for auto insurance. Visit our Blog to learn more about how we can lower your insurance rates for any of your Idaho Falls Insurance needs. Click the banner above to make a payment or change to your Progressive policy! List any questions you may have and we'll get back to you as soon as we can. Michael Infanger is the president of Infanger Insurance, INC in Idaho Falls, Idaho. He is a third generation insurance agent specializing in the insurance that most captive agents don't write. Give us a call today to find out more!